The country kitchen is basically large and offers a lot of area for dining and food preparation. This is an ideal kitchen for so many people and can be used with ease even not in the countryside. All you basically need is more space than with regular kitchens. Adding French will define personality, a layout, a design and decorations based on personal preferences, of course. The key with a French country kitchen design is comfort, combined with elegance. We need to strike a proper balance between beauty and comfort. 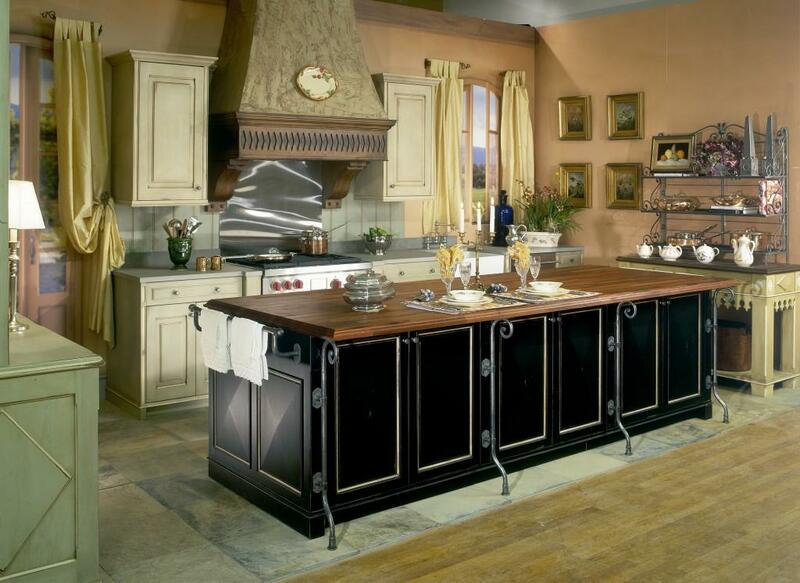 A well designed French country kitchen will use perfect color fabrics, proper textured walls, weathered patinas and distressed painted furniture. Décor needs to be warm and basically enhance the love of life. Elegance is a must but comfort needs to exist. The chosen style of decorations is rustic. This means that signs of old world or age are preferred as they add charm. Fabrics need to be in vibrant colors like green, red and blue. Cream and white are also common in enhancing designs but you need to be careful with them. They work better with other elements as to break shouting color monotony. The curtains in a French country kitchen need to be elegant and really comfortable so that style is enhanced. 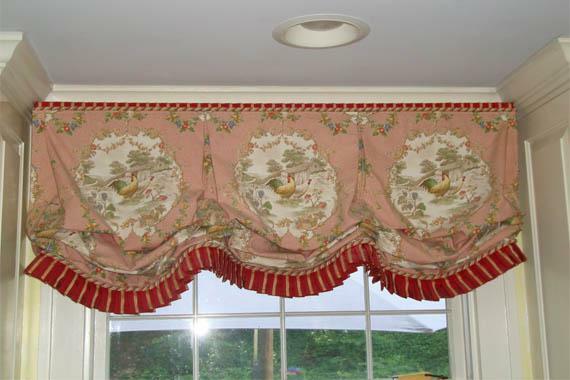 We do not have rules associated with designs but using custom-made curtains is usually a very good idea. We say this because customizing will bring in an enhancing of the home’s color schemes so that a perfect match and mix can be achieved. You do not need to spend a lot of money on that. Simple country fabric will be enough. Linen and silk are highly recommended. You should know that they are expensive but the investment is definitely great. 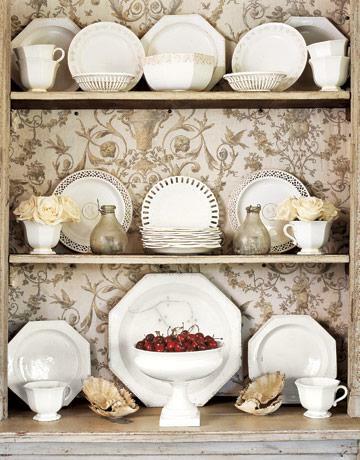 No matter what color scheme you will use for the French kitchen design, white dishes will be fabulous. Many of the chosen dishes that are appropriate are unique, expensive and classic in appearance. You will find the best items in flea marketers, antique shops or garage sales. Cottage furniture stands out as recommended and the best thing is when it is handcrafted, painted by hand or designed especially for the simple French country kitchen design. 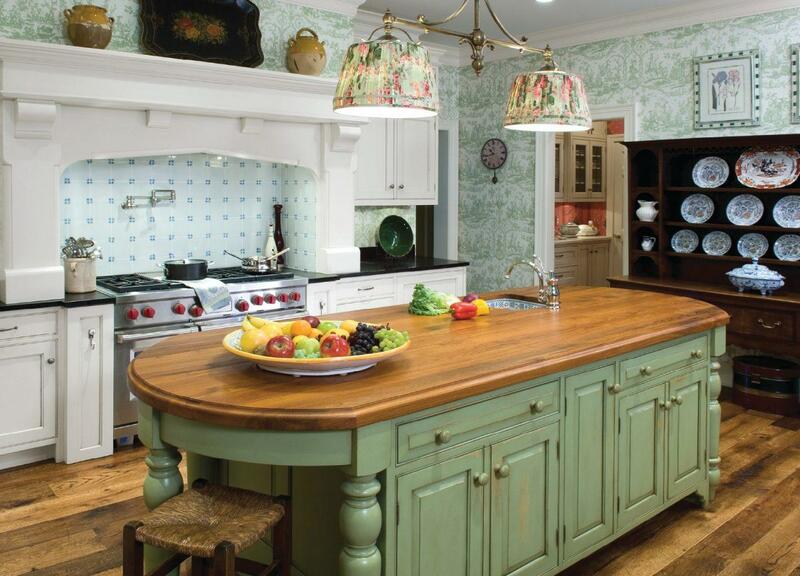 If you choose stencil design on furniture elements, French country kitchen design will be enhanced. Customize the paint job and use wooden floors. Alternatively, you can use flagstone or ceramic tiles.